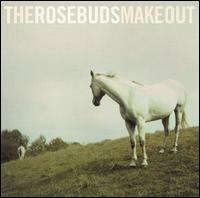 The Rosebuds are almost too consistent. Though they’ve released five solid—for lack of a better word—albums in the past eight years, they’ve never crafted one to really blow people away, one which prompts critics to fawn and fans to flock. 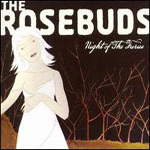 Theirs is easygoing orchestral pop—perhaps too polite and serene for dwelling too long amongst, save for parts of the haunting Birds Make Good Neighbors (2005), and the Rosebuds’ latest continues in this vein: good but not great, put together well and thoughtful, kinda-moody and kinda-appealing. But one element sets Loud Planes Fly Low apart from the rest of their catalog: singer-songwriters Ivan Howard and Kelly Crisp founded the band as newlyweds, their relationship serving as inspiration, sappy love songs and all, but now they’re divorced, and the most interesting thing about Loud Planes Fly Low is the way it uses that rift, confronting the inherent tension and wringing it out. It may not be Howard and Crisp’s best work to date, but it’s perhaps their darkest, sincerest, and least expected. Loud Planes Fly Low is a tightly packaged and restrained affair, built on short songs with fragmented lyrics. Though these aren’t three-minute pop songs with sing-along choruses so much as they are mood pieces, and that mood is ominous. (Crisp, especially, is mostly relegated to shimmering, ethereal background vocals.) It’s a great big sigh of a record, sweeping in and out of consciousness like a half-dream or a misunderstood omen—though a few tracks deviate from this tone with positive results. “Come Visit Me” in particular, what with its cool Debbie Harry-style vocals and disco beat, featuring the aforementioned turn from Crisp on lead vocals, which is, I think we can all agree, something the album could use more of. Two of the album’s other best songs are almost polar opposites: “Without a Focus” is tense, a stripped-down lament meant to communicate a used-up emptiness (“I don’t know how I am supposed to feel”), while the post-punk-ish “Woods” finds Howard at his most overt, his voice turning at times into a paranoid wail. Loud Planes Fly Low is not a conspicuously charismatic record, nor is it an expertly wrought concept album, but what it does have is a carefully crafted conceit, one beset with frustration and desperation: that of things coming to an end. 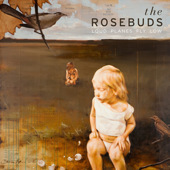 Whether Howard and Crisp can keep their musical partnership going is yet to be seen, but Loud Planes Fly Low finds them fighting through their separation and emerging, battle-scarred, with something cohesive to show for it.